Laid down. 31 December 1942, at Kaiser, Inc., Richmond, CA. 99k Unloading US Army 483 Anti-Aircraft Artillery Battalions A and B from USS LST-486 at San Diego, CA., 2 January 1944. 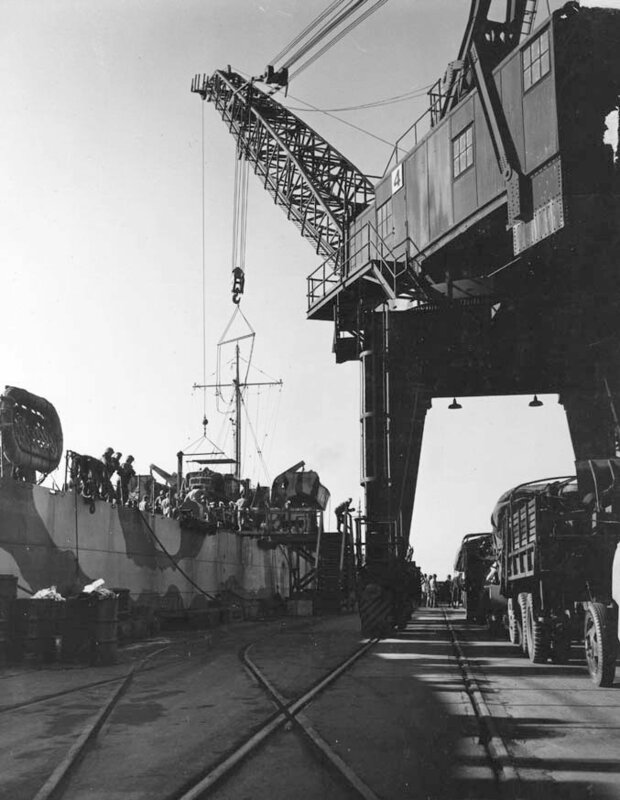 136k USS LST-486 loading an Army truck during Acorn Training, San Diego, CA., 9 January 1944. 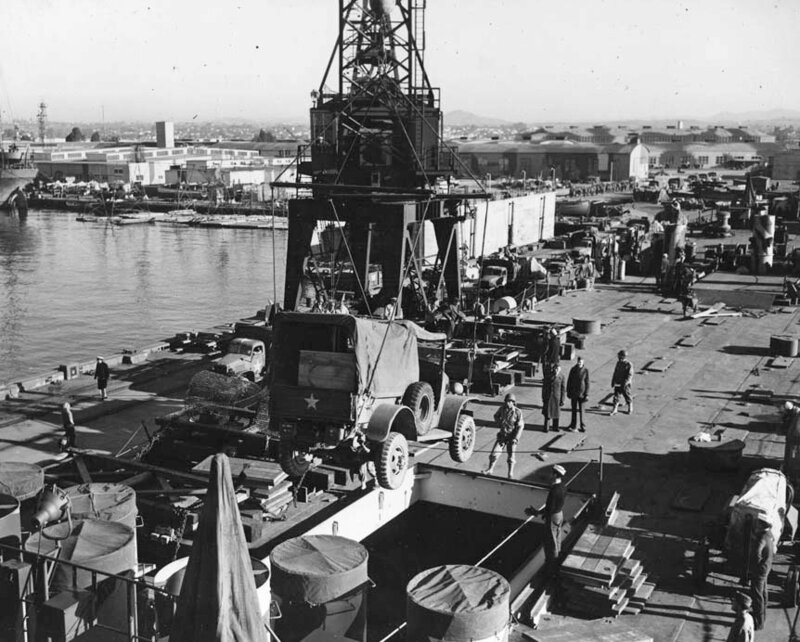 86k Army quad 50s waiting to loaded by crane aboard USS LST-486 during Acorn Training, San Diego, CA., 9 January 1944. 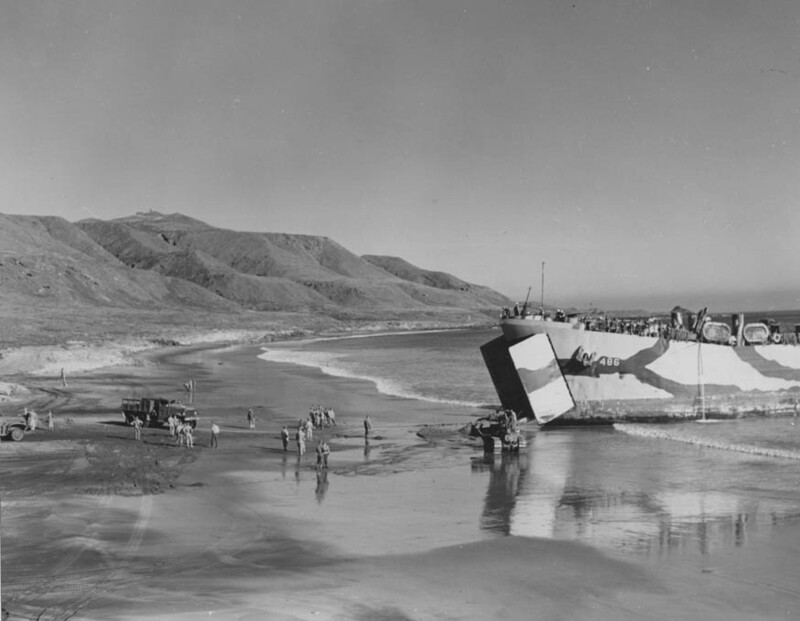 50k USS LST-486 beached at San Clemente, CA., during Acorn Training, 9 January 1944. 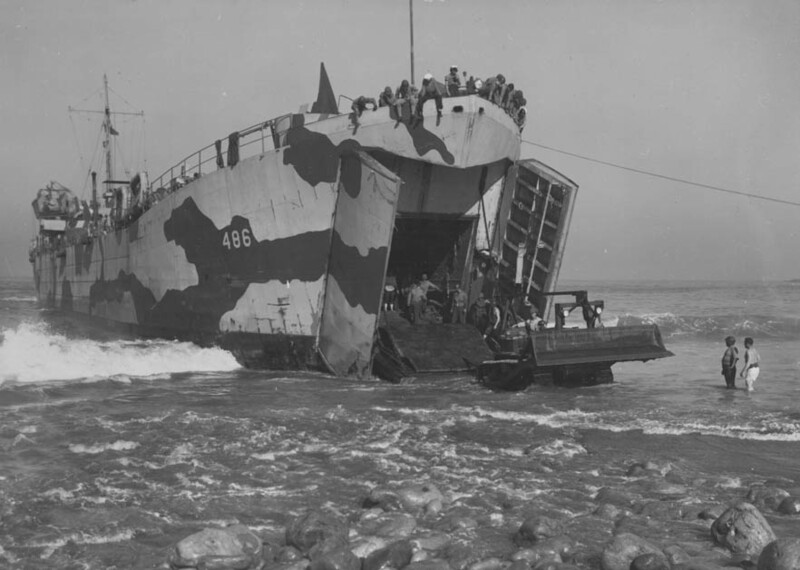 58k USS LST-486 beached at San Clemente, CA., during Acorn Training, 9 January 1944. 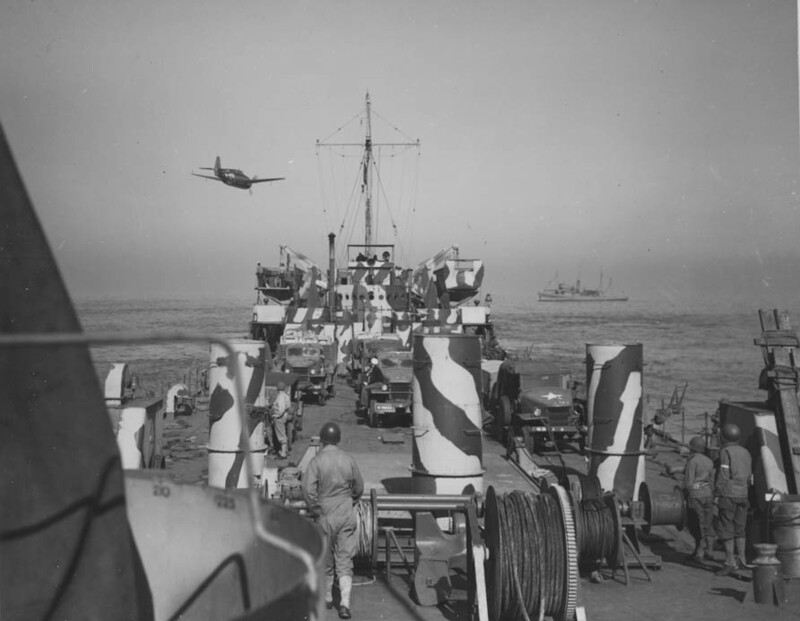 Note the Grumman TBF Avenger torpedo bomber making a mock attack on the ship and the unidentified ATO in the distant background. 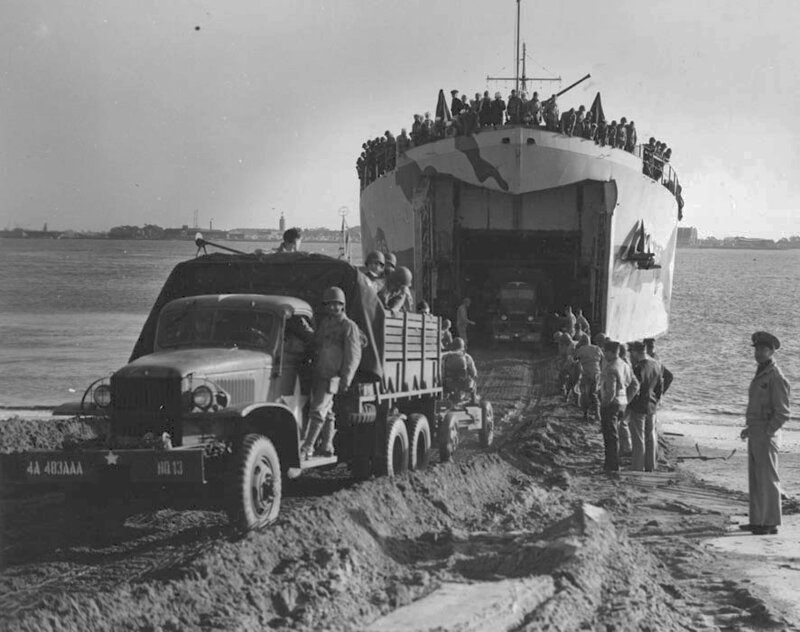 66k USS LST-486 beached at San Clemente, CA., while unloading a bulldozer during Acorn Training, 9 January 1944.